Dr. Grossman is Vice Chair of the Department of Medicine for the UCLA Health Community Physicians Network & Entertainment Industry Medical Group, a multi-specialty group of 26 primary care offices and over 120 physicians throughout the Los Angeles area; responsible for overseeing the clinical operations, clinician-educator faculty, patient services, strategic growth, and system-level ambulatory clinical integration. EIMG consists of six health care centers in the Los Angeles area exclusively for the entertainment industry community; specialty care is provided through a UCLA affiliated industry network of more than 500 physicians. In addition, Dr. Grossman directs UCLA Health's collaborative outpatient behavioral health services program. He also chairs the Ambulatory Operations Group for CareConnect, UCLA Health's Epic-based electronic health record. He has a faculty appointment as Health Sciences Clinical Professor of Medicine and Pediatrics, the David Geffen School of Medicine at UCLA. 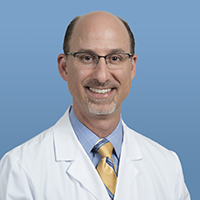 His clinical interests include general primary care of adults and children, newborn care, geriatric medicine, behavioral health, and preventive medicine. He is actively involved in teaching medical students, patient safety, innovative healthcare delivery, quality improvement/utilization management, e-health information technology, and population health management initiatives.